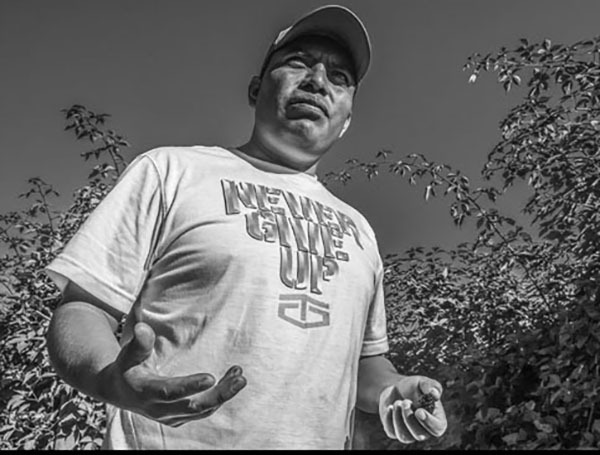 In anticipation of a UCLA Labor Center conference: Gender, Migration, and Agricultural Supply Chains: A Tri-national Labor Response to Shifting Political Terrain, David Bacon interviewed three farm worker union leaders. These leaders discuss the cross-border relationship between their unions and the workers who belong to them: Ramon Torres, president of Familias Unidas por la Justicia (FUJ), Lorenzo Rodriguez, general secretary of the Sindicato Independiente Nacional Democrático de Jornaleros Agrícolas (SINDJA), and Abelina Ramirez, SINDJA’s secretary for gender and equality. The meeting in Washington was facilitated by the Solidarity Center, allied with the AFL-CIO, the UCLA Labor Center, and Community2Community. The interviews were conducted by David Bacon on October 14, 2018.